Scary tales of the unexplained told around campfires is an essential pastime that cuts across all ages and global cultures. 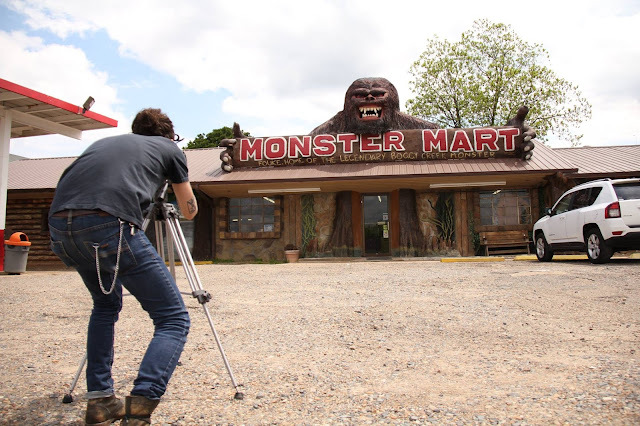 Filmmaker and documentarian, Seth Breedlove has capitalized on this age-old entertainment by forming a production company, Small Town Monsters, that presents American cryptid folklore in the cinematic medium. 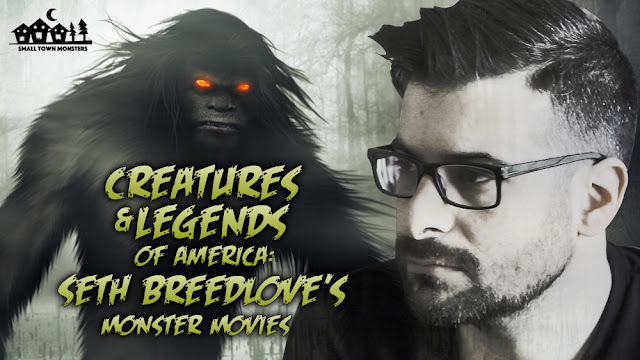 Having released three films in a considerably short period of time and with two more in production, Breedlove and his crew are quickly making a name for themselves in the cryptid and paranormal scene. I learned of their work from a recent episode of Grimerica. I was fascinated by the conversation and immediately binged all three flicks over the course of a weekend. 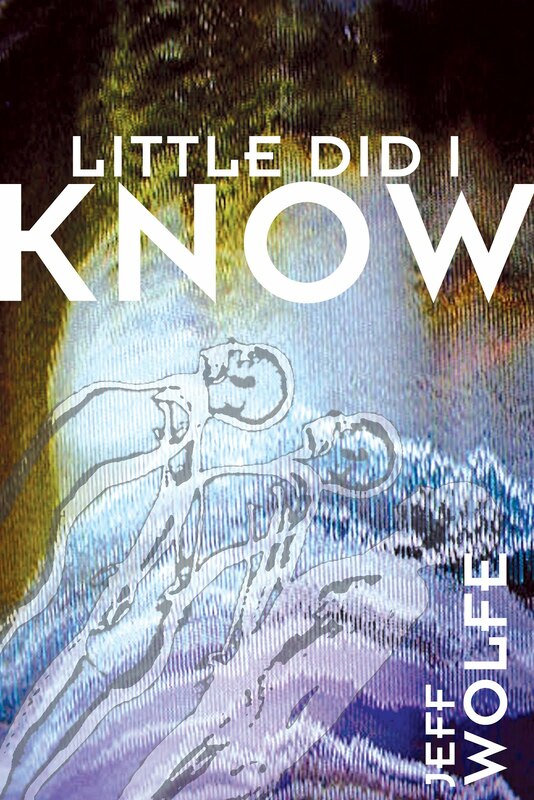 All of the stories told were new legends to me and resparked my interest in cryptozoology. 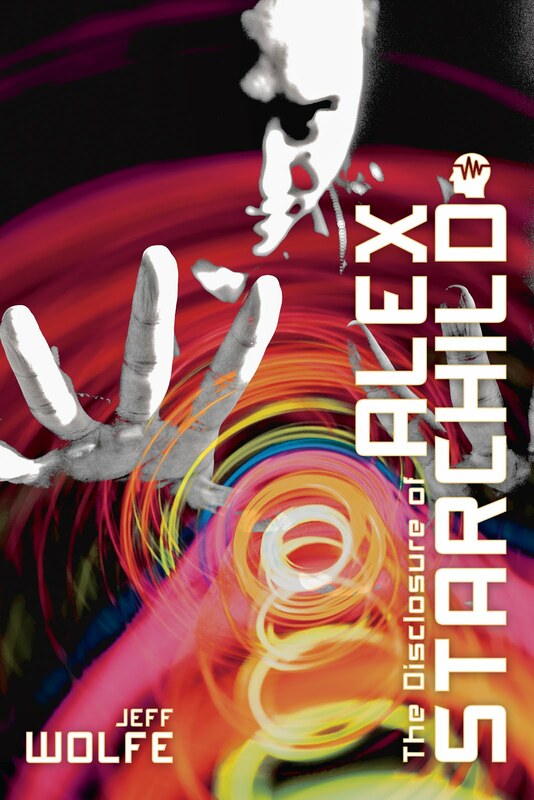 My young interest in the paranormal started with aliens and ghost hauntings primarily. As time has gone on I've come to appreciate the weirdness and great folklore, not just about Bigfoot but about all sorts of unidentified creatures. Breedlove's DIY attitude and dedication to research is inspiring and it's great that he's choosing to spotlight some lesser known events in weird American history. 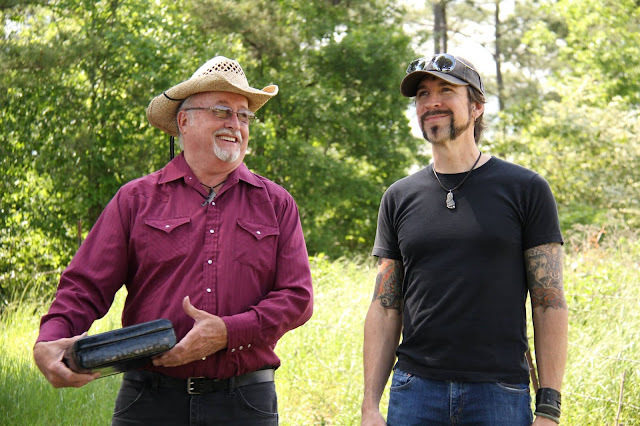 Rural backwoods, swamps and dusty roads make fertile ground for our collective imaginations, stimulated by old stories past down about strange sightings and contact made with the unknown. Breedlove captures that mood of wonderment and tension with reverence and commitment to the story told by those who lived it. I highly recommend his work for anyone with an interest in mysteries, folk tales and mythic creatures. 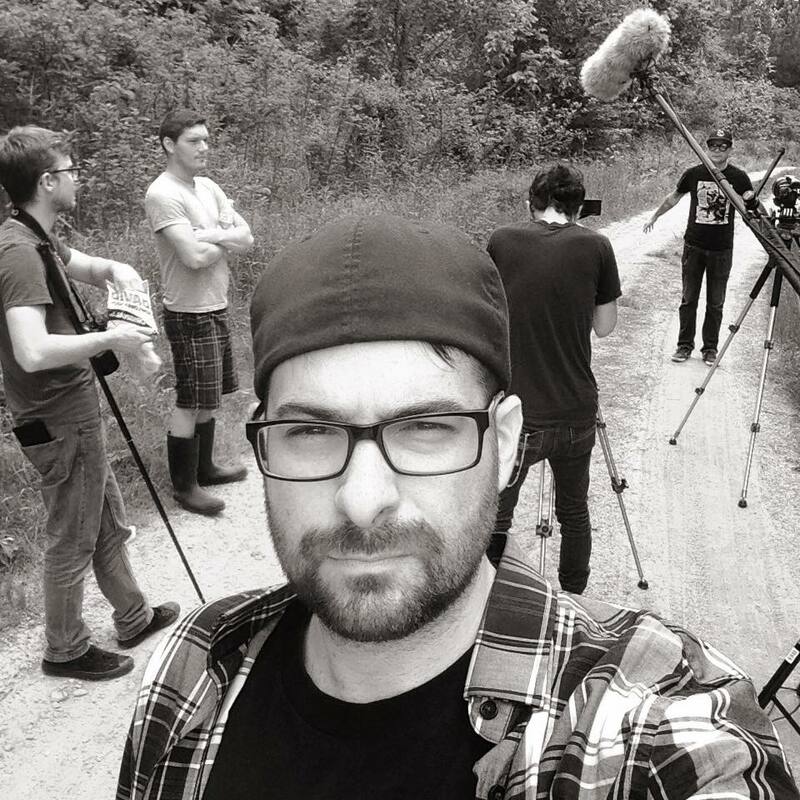 In our interview we cover aspects of Bigfoot culture as well as insights into the life and work of an independent filmmaker. Personally, I've come away with a burning desire to dig up cryptid stories in my own neck of the woods and to get back out into the woods of small town America. When did you first become interested in mythical creatures, cryptozoology and the paranormal? I think it started in 2002 with the release of the Mothman Prophecies movie but I know for a fact that the first time I really sat down and gained a fascination/borderline obsession with this stuff was in 2005. A buddy of mine DVR’d a bunch of crypto docs for me and I ended up watching them all, which led to me deciding to look into whether or not there were reports near the small town where I lived. There were, of course, and that was where I first started going out and doing any sort of “investigating”. Did you grow up in an area that has any legends or folk tales about mythical creatures or paranormal events? I grew up about 30 minutes from Salt Fork State Park (Bigfoot Mecca of the Midwest) and less than 20 minutes from Minerva, Ohio. Home of the Minerva Monster. But, in my own hometown there were reports of Bigfoot type creatures in one particular location not even a mile from my parents home. 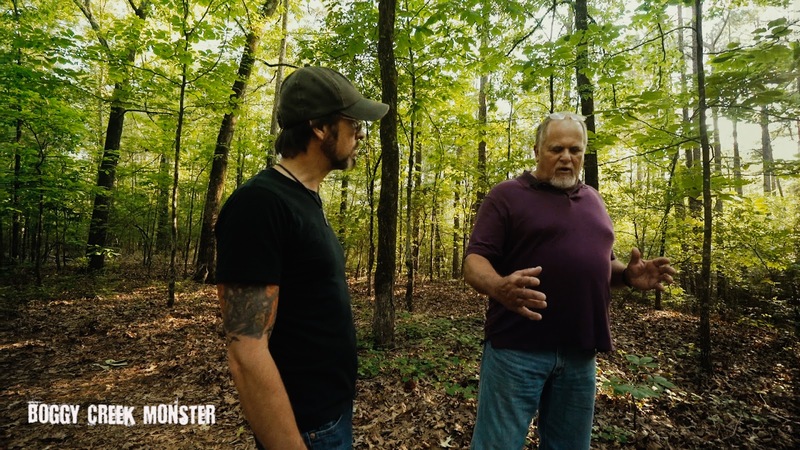 The reports came from one family who’d told a friend of mine that they had a family of Bigfoot living on their property, which led me to talk to other locals and discover that there was a history of weird activity in this one tiny, pocket of forest that was formerly strip mined, privately owned land. Really fascinating stuff. Are you a comic nerd? What are your favorite series? Yeah, total comic geek. I did a comics podcast for a few years with some friends called Ancillary Characters, and despite ending the show about a year ago, I still try to keep up with them. I follow writers mostly, so anything by Grant Morrison, Geoff Johns, Brian Michael Bendis and others. I’m a huge fan of this Oni series called The Sixth Gun. Probably my favorite series of the last decade. I adore The Goon, Hellboy, BPRD, Justice Society, Johns’ Green Lantern run, Morrison’s All Star Superman, Scott Snyder’s The Wake and his American Vampire books. Locke and Key… I could go on. Have you always had an interest in film? Does the horror genre inform your filmmaking decisions today? I’ve loved movies since I was a kid. My mom raised me on a steady diet of Hitchcock, Harryhausen, and Hammer Horror. Also, the Marx Brothers and Abbot and Costello but those play into it a little less maybe. I wanted to be a movie director when I was a teen until I was about 21-22, then I sort of let go of that idea and went and took numerous, dead-end day jobs to pay bills until I made Minerva Monster and all of a sudden something clicked and I realized I was doing something I actually loved to do. I don’t consciously believe that anything I do is very informed by the horror genre stuff I’ve watched. Truthfully, I was never a huge horror guy. I loved stuff like the Friday the 13th and Nightmare on Elm Street flicks when I was little, as well as the aforementioned Hitchcock and Hammer stuff, but I avoid most horror films. I like a good psychological scare but feel like so much of the genre is dominated by gore and gross-out moments which don’t really scare me. I do have to say I have a great affinity for John Carpenter, Charles B. Pierce and Ridley Scott who all have major horror movies under their belts that I happen to adore, so who knows? What was the decisive moment when you said to yourself, “I’m going to make movies!”? Well, when I was a kid we made all sorts of short films and I even created scripts for movies I wanted to make, so probably that was the definitive point. But, like I said, I gave that up. It wasn’t until AFTER Minerva Monster was released that I even connected what we were doing with actual filmmaking. Shortly after Minerva was released I went down to part time at my day job and I’ve been focused on filmmaking ever since. How much of a background in filmmaking and production did you have prior to launching Small Town Monsters? Other than the short films I’d made in my late teens and early 20s with my pals, none. I think I drew more off of my newspaper reporting background during the making of Minerva Monster than I did any knowledge of film that I possessed. I think that might be why I’m always saying anyone can do what I do. With the internet and the proliferation of easily digestible filmmaking education on free platforms like YouTube I think anyone can at the very least get started. Do you still have a day job? If so, how do you manage a production schedule around conventional workloads? I have a job that I’m able to work whenever I like. That’s typically about 15-18 hours a week. They thankfully let me work whenever I want to show up and have for the last year. However, this summer I’ll be letting that little parachute go, as well, and focusing entirely on filmmaking and running STM. When you set out to make these creature films, were you already personally convinced of the reality of a Bigfoot or other cryptids or were you still uncertain? I was uncertain then and still am now. As much as I don’t believe all these people are lying or misidentifying natural animals or occurrences, I think I have so many questions about how they’ve managed to exist for so long without capture that I need to see something for myself to finally override all my questions. What is it about small towns and rural areas that intrigue you or that make for interesting stories? Well, I grew up in a small town so there’s that. I think it’s the community aspect of the stories and how, in a small town, something like a single sighting of a creature can end up impacting the culture of the area in such a huge way. It’s able to do that because the towns are usually so small that word spreads almost overnight and before you know it, everyone in town is a player in the story. I’m also fascinated by what happens when the sightings stop. Like how in the case of Minerva, the town sort of forgot about the creature sightings entirely, until we showed up and started filming. There’s a huge part of all of this that is about history preservation for me. 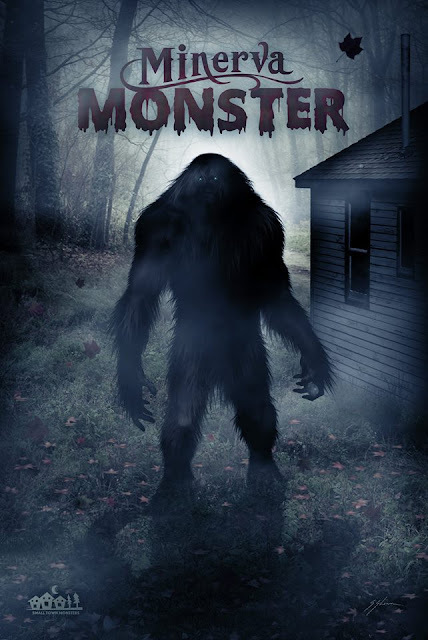 Do you have the feeling that there are enough legends and stories out there that qualify as small town monsters for you to keep cranking out new movies every year indefinitely? There’s no end of awesome, small town monster stories. 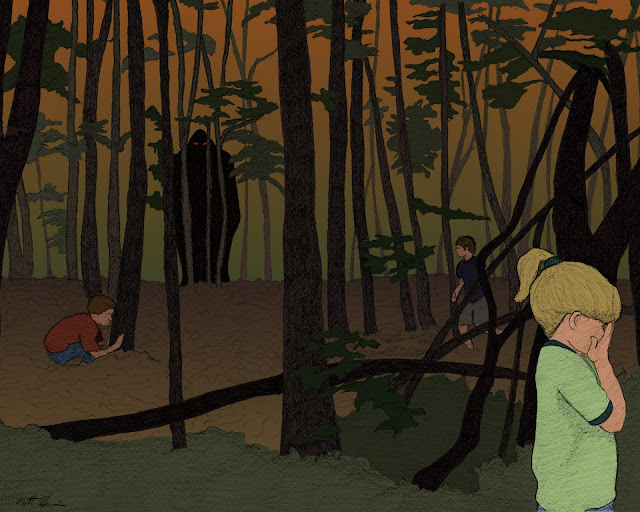 We’ve talked about how the series doesn’t even solely have to be about cryptids or the paranormal at all, as I believe some of the more fascinating local legends are birthed out of serial killings. I could definitely see this go on indefinitely, but I’d want to always make sure it was driven by my love for the subjects and stories we’re telling. At some point I’d love to see some other filmmakers come work on Small Town Monsters projects in a collaborative way even. I have ideas beyond simply creating a couple indie films a year and I really do love getting to see other filmmakers with a passion for these subjects making movies about them. Have all of your films been funded mainly by crowdsourcing? Would you be able to make these films without the backing from the fans? We made Minerva and Whitehall free of any sort of funding. We ran a Kickstarter on the backend of production to get the movie on DVD. Whitehall we didn’t even do that, so I’m confident we’d find some way to scrape along without crowdfunding. What crowdfunding has done is allow us to use better equipment and travel to further locations and manage to make more than one film a year. After the Boggy Creek Monster campaign I’d actually made bold proclamations that I was done with crowdfunding entirely. Not because we don’t need it or because it isn’t incredibly encouraging to do successfully but because I basically invest all my filmmaking time into operating the Kickstarter. We ended up running the Mothman Kickstarter because I wanted to raise enough to be able to pay our crew and our (growing) team of artists and illustrators and because, this time around, I have to shell out literally thousands of dollars for use of archival footage. After the success of the Mothman campaign though, I think we’ll keep doing them. Our supporters seriously made my year with this campaign. That was a huge shot in the arm for me. Really, for all of us. Is there anything you would do differently as a filmmaker if you had an unlimited budget to work with? I’d shoot with the same equipment but I think we’d probably use the money for things like a broader distribution, more marketing and more archival footage. I like working with my friends so larger crews don’t interest me. I’ve been asked if the reason we don’t do recreations is because of money and, at this point, it’s entirely my own stylistic decision. I just hate recreations in documentaries, personally. All three of your films so far are based on events that took place in the 1970’s. Is that coincidental or do you have a specific interest in the time period? Boggy’s sightings are all over the place, from the early 50’s up to today but there’s definitely a 70’s vibe to it so I see what you mean. I actually do sort of love that time period when it comes to these stories. I’ve even pondered what it would be like to make a Minerva Monster movie that would be like all the great Spielberg movies I grew up loving. 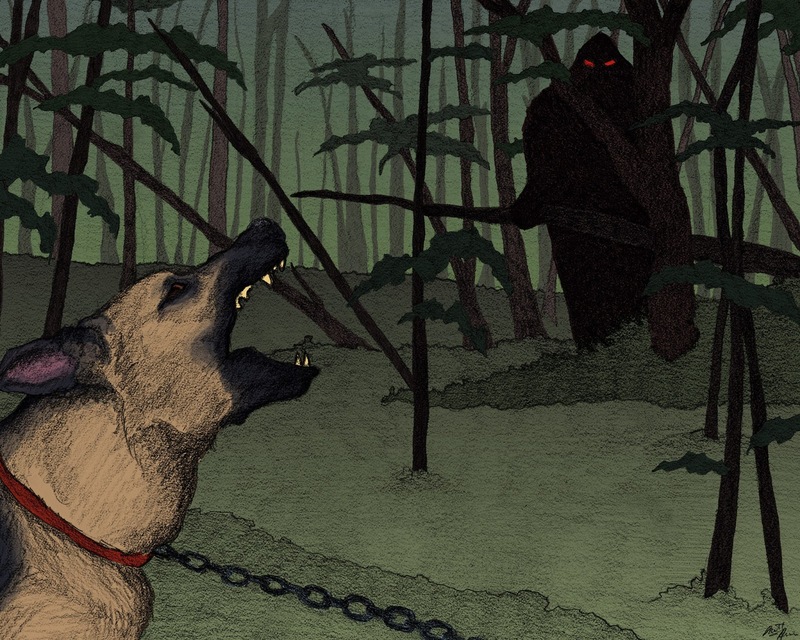 Bell bottoms and teenagers running through the woods for their lives while being stalked by this hairy abomination. I grew up in the 80’s but I connect the 70’s with Bigfoot. Our Mothman movie breaks the mold by being set in the late 60’s though. What was your process of research like for each film? Did a lot of the names, dates and places come from books or news articles written about the cases you selected? Every movie is different. 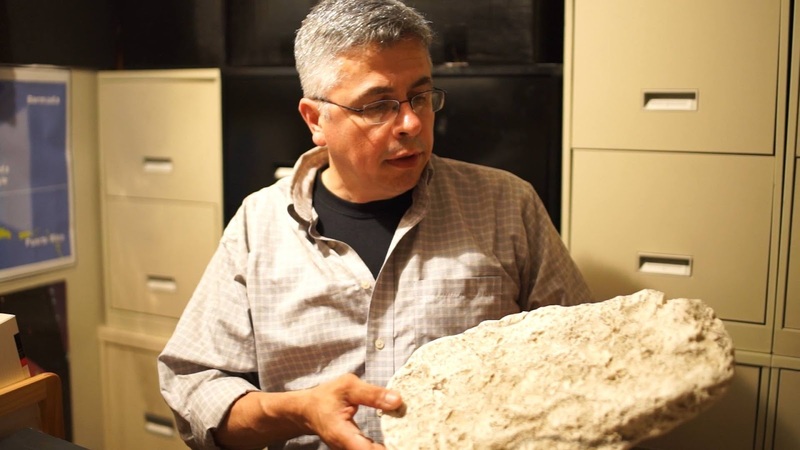 I spent years researching Minerva and had even conducted interviews with some of the people prior to the filming. Since no one else had looked into the case in a long time it was sort of up to me to uncover things like the police report and additional eyewitnesses. Whitehall consisted of a lot of convincing and learning about the original sightings from investigators like Bill Brann and Paul Bartholomew and Boggy was like being a hired gun at times. In the best way possible, as it allowed me to focus entirely on story. Mothman is actually kind of a return to Minerva form for me. I’ve been turning over every rock I can find for new stories and witnesses and information. 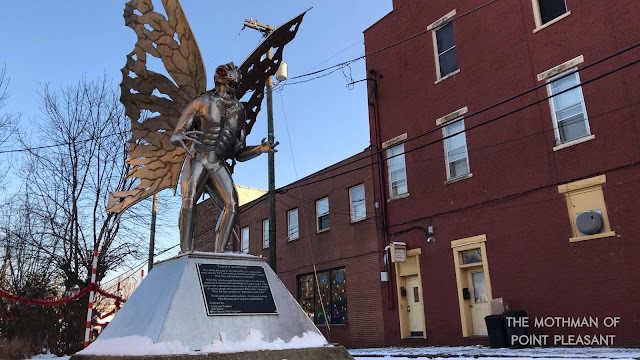 Some of it won’t be in the final film but one interesting aspect of the Mothman research has been learning what happened to many of the original witnesses mentioned by Keel or in the early newspaper articles. I’m keeping a list so I can turn it over to future Mothman historians and maybe we can help put a little bow on those 66/67 sightings. Which is actually pretty sad now that I typed it out. I spend hours reading newspaper archives and tracking down phone numbers and addresses like an old dime-store gumshoe, too. Never underestimate that sort of work. You spend days doing it with no results and then all of a sudden you unearth some gold. The extra work is always worth it. All of your films are heavily structured around firsthand testimonies of the residences in the areas where these events took place. How easy or difficult was it to track down the witnesses and subjects for each of your films? Were they excited to participate? It’s different from project to project. Boggy was easiest because Lyle had already done all of that preliminary work. With the other three it was varying degrees of difficulty. I’ve had to convince people to come on camera with every film but the hardest was still Minerva and working to get Howe Cayton on camera. It’s never easy to track down witnesses, and very rarely do they approach us. If they do I’m usually a bit skeptical. Did you have the idea for all three of your movies from the on-set or did they fall into place one after the other? Minerva was our first because of it’s proximity to where we live and because I’d already done so much work on it. Boggy was actually brought to me by Lyle before we’d even gotten around to releasing Minerva, though originally I’d told him we wouldn’t be able to get to it until 2017. 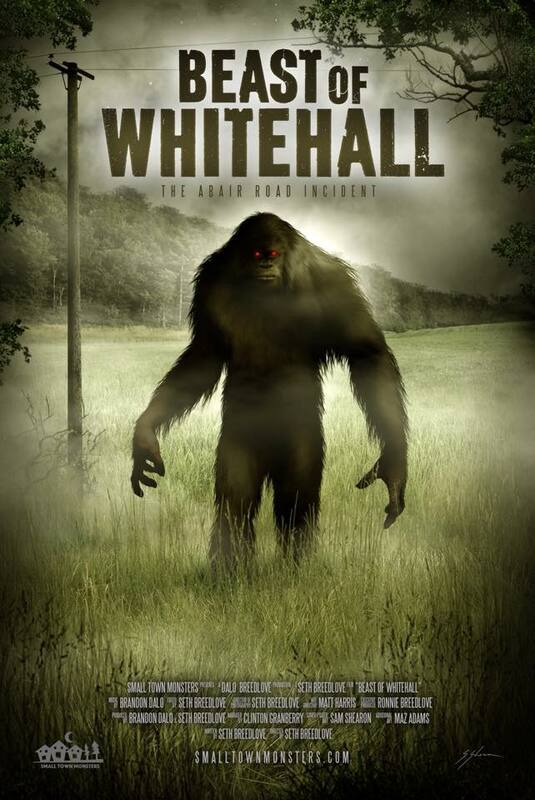 Whitehall, I fell in love with because of the underlying theme of loss and the potential loss of a great story. The term “monster” is used as a way of identifying whatever these creatures are in your films. Some stories present their behavior as possibly aggressive but in other cases they appear to be avoiding human contact. Do you consider them to be threatening to humans or merely defensive? I don’t buy into the Bigfoot-as-serial-killer thing. The accounts we hear most often seem to be of a curious creature who will defend itself if needed but is much more likely to flee into the deepest recesses of our forested areas. I used the “monsters” moniker because, well, for one it’s a cool name, but also, because the old 70’s newspapers articles detailing these accounts so often referred to the creature in that way. Of all your witness testimony gathered from all your films, is there a particular incident that stands above the rest in terms of convincing evidence or straight-up creepiness? I love Brian Gosselin’s story from Beast of Whitehall. I think that particular story was really intense to hear told and I can remember getting goosebumps as he told it to us. Which isn’t easy when you’re standing in 90 degree heat. We just shot an interview for Mothman that I got an equally creepy vibe off of but I can’t say anything about that one just yet. Before watching your films, I like many, only thought of the American Northwest and parts of Canada as the geography of Bigfoot land. How prevalent are sightings throughout the rest of the country? Why do they seem underrepresented? The PNW is definitely a hub of activity but Florida and Ohio are both in the top five states for Bigfoot reports, and Kentucky is right up there as well. I think the pop cultural Bigfoot was always the Pacific Northwest giant, sort of strolling amongst the redwoods. At least until recent years. It’s more of a cultural shift now that we’re seeing more of the swamp apes and backwoods hillbilly apes of Ohio. A lot of it is just marketing, in my opinion. But yes, there is an abundance of reports out of the east coast and down into the south and southwest states, and they do seem to go back at least a century or more. Skeptics of Bigfoot point to a lot of things to refute witness testimony. One criticism in particular deals with the lack of skeletons being left behind for discovery. What are your thoughts about that? I believe the typical Bigfooter response is to say that the acidic soil, insects and scavenging animals destroy all trace of a skeleton within a couple weeks so unless you’re incredibly lucky to stumble upon a dead one, chances are you never find it. My issue with that is, we do find other large animal carcasses such as bear, elk and deer so why not Bigfoot? Unless they bury their dead or when they are dying they crawl into the brush or something. You’re asking me a question that I often ask myself! Is there a possibility that Bigfoot is an extra-dimensional entity? I love the idea of a portal-hopping Bigfoot and it would certainly help to explain why we have such a hard time finding them. My problem with this idea is similar to my problem with connecting Bigfoots to UFOs. It’s trying to solve one mystery with another mystery. We aren’t even sure the portal exists let along the Bigfoot so how can I connect the two? Assuming Bigfoot is a living, thinking mammal of some sort, is there enough antidotal evidence that points to the cognitive level or overall intelligence they posses? The majority of reports, in my opinion, point to a very shy, curious animal that behaves much like an ape. I don’t think they’d have to be some sort of super-intelligence to avoid us all this time. The behavior patterns exhibited in many reports are definitely in line with that of a primate that knows to avoid mankind at all costs… but occasionally it’s curiosity gets the better of it and someone lucks out and gets to see it. What is the most impressive testimony of Bigfoot’s display of strength? I’ve always thought the story about the Cayton’s dog being ripped from it’s collar and having its neck snapped was a good way to gauge the strength of these creatures. The Ape Canyon story involved large boulders being tossed onto a shack which, again, is a good example of how strong they might be. 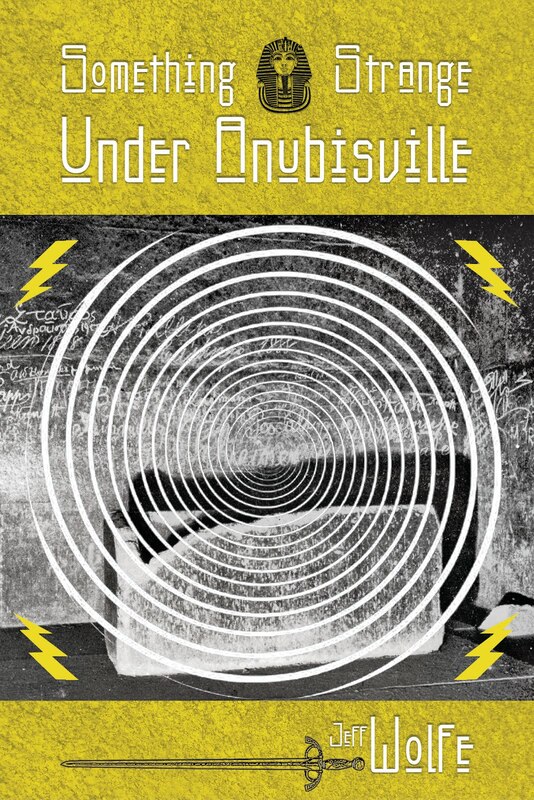 What does paranormal phenomena in all its many forms teach us about the nature of reality? I think the answer to this question probably changes dramatically based upon who’s answering it. For someone like me, I’ve never witnesses any paranormal phenomena that I wasn’t able to explain through natural occurrences. I think the quest to explain the paranormal, whether by debunking or investigating from an open-minded place, is in itself a very incredible thing. With the world operating at peak craziness lately, isn’t it refreshing to go out in the woods or into an abandoned house and try to search for something that others think doesn’t exist at all? I think there’s something very innocent and captivating about being curious and questioning in a world full of a people that think they know it all. Did you experience any weird moments out in the field filming for the movies? Not really. 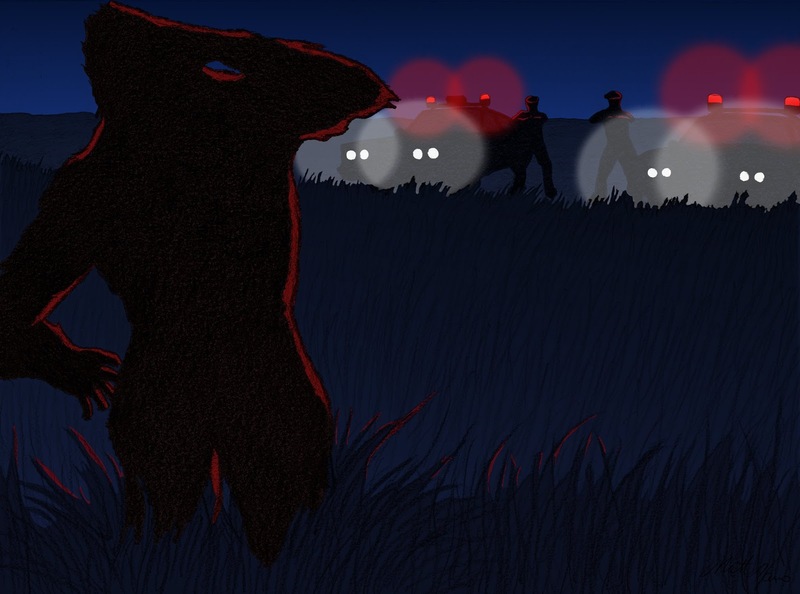 We caught some unusual audio during the filming of Boggy Creek but for the most part, we haven’t yet experienced anything all that intense. I’m crossing my fingers though. It’ll happen eventually. 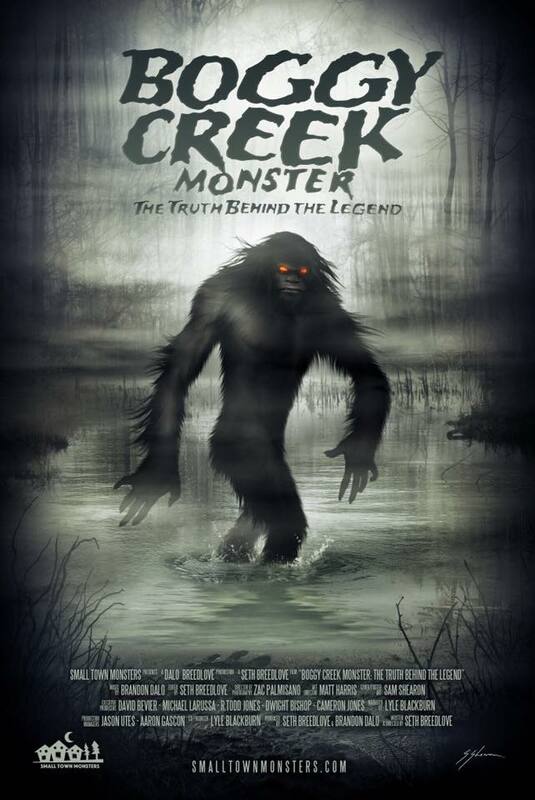 What was it like to collaborate with author, Lyle Blackburn on Boggy Creek Monster? How did it enhance the storytelling and depth of research in a way that differed from your first two films? Lyle is one of the most honest and open and friendly guys you’ll meet in Bigfoot. I wouldn’t have worked with him again (on Mothman which he is executive producing and narrating) if that weren’t the case. He basically handled all the heavy lifting on Boggy, research-wise and simply gave over his abundance of work and let us make the movie we wanted to make. Collaboratively, I don’t ever recall a point where he straight up told me he wanted the story to be told some other way. He pretty much placed all of his work in our hands and said “get it done”. Which we did. There’s quite a bit of illustrative artwork employed throughout your films to give the audience a picture that complements the witness retellings. Can you talk about the artists you’ve worked with and the development of the art styles that came about as a result? Definitely. We are always trying to add new names and styles to the films but Matt Harris is the only illustrator who’s been with us since Minerva. We’ve been able to watch his style grow and evolve to the point where when Boggy came out many people referenced his artwork during the Crabtree sequence as being their favorite part of the film. 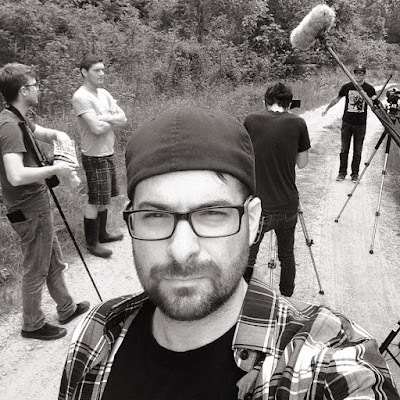 We also have worked with Maz Adams on Beast of Whitehall and Boggy Creek, and he is also a huge talent and someone who is just getting started. Our most recent additions are the father and son team of Chris and Brandon Scalf. Brandon did a number of black and white sketches used in Boggy that were fantastic, and he’s coming back for more on Mothman. Chris licensed a couple of pieces for Boggy but we’re extremely excited to be bringing him onboard for Mothman where he’ll be creating a few animated sequences. I’ve always wanted to see animation added to our films and having him be the guy creating these scenes is really exciting as he’s immensely talented. I also have to point out our poster artist, Sam Shearon who has helped establish a very specific look and tone for the series as a whole. I can’t say enough about how vital he has been to our success. The guy is a stud. Between ghosts, aliens and cryptids, which category of paranormal phenomena is hardest for the public to accept? What do you think accounts for it? Weirdly enough, I think it’s cyptids. Which I think boils down to the one phenomena which should be easiest to prove, is the one that so many find it possible to accept because, well, if we don’t know everything about our own world then we’ll all just fall to pieces. 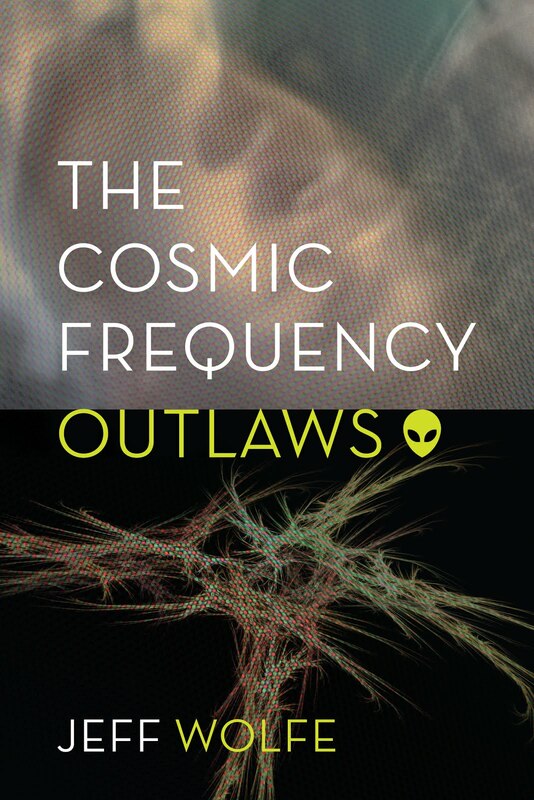 What distinguishes Bigfoot culture, from UFO or paranormal cultures? 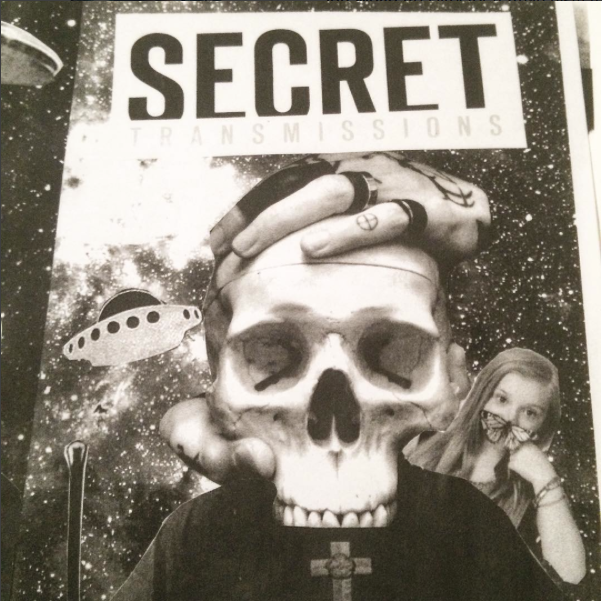 Are the people that you meet at Bigfoot conferences just as likely to be at ghost or alien events? Not at all. I think there’s definitely some cross pollination that goes on but the Bigfoot community boasts just as many ardent hunters and outdoorsmen as it does lovers of the paranormal. Probably far more really. I do think that every community has it’s detractions but the Bigfoot one is extremely fractured, cliquey and unwelcoming at times. Obviously, I’m not speaking of every corner of the community, but there’s definitely some serious issues that need worked through. 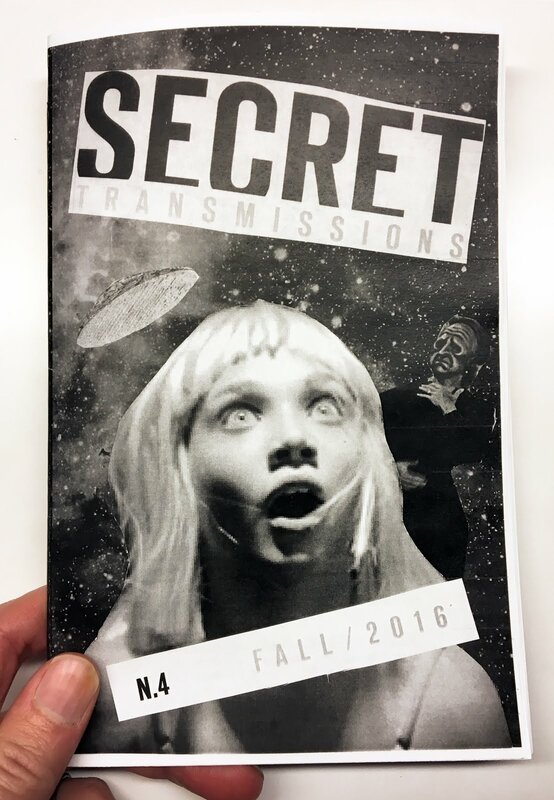 Did you have a connection to paranormal media, radio shows, books etc., prior to making your films? Not really, no. I’d had a little contact with a show host or two prior to Minerva due to my podcast, SasWhat (now Mark and Andy Matzke’s podcast, SasWhat) but I definitely was not out there. 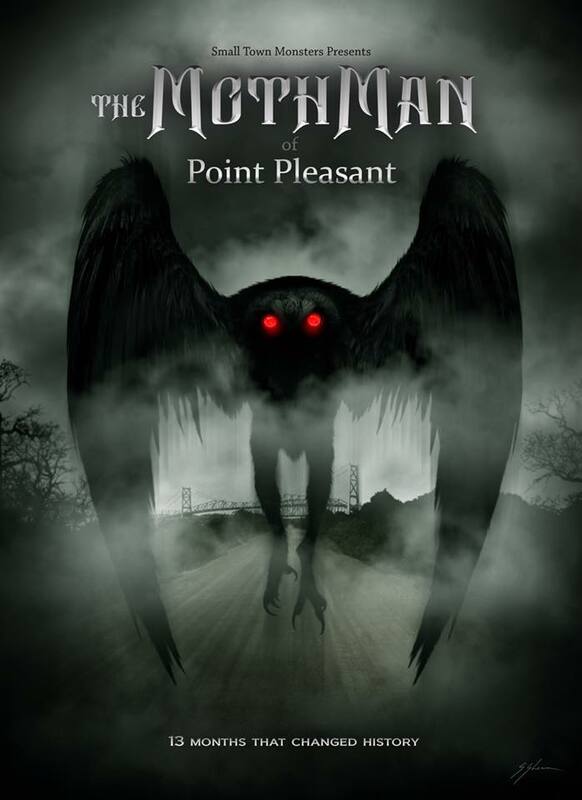 Your next documentary dealing with the famous Mothman legend is a story that has been analyzed and dramatized a lot over the years. It’s right at the top of the list as far as famous urban legends and paranormal phenomena. Do you feel any extra sense of pressure to adding something unique and also to meet people’s expectations? Oh there’s definitely a lot of pressure but it’s due more to my love of the story and wanting to do it right than any sort of external expectations. I’m extremely aware that people want to see something with our film they haven’t seen before, and they definitely will, but I’m much more concerned with our means of delivery and making sure we’re able to tell this in the way that I want to see it told. I feel like if I get too lost in this idea of “brand new evidence” I’ll lose the threads to the story that brought me to it in the first place. I promise it’ll be something wholly unique, and also intensely sad, dramatic and exciting. 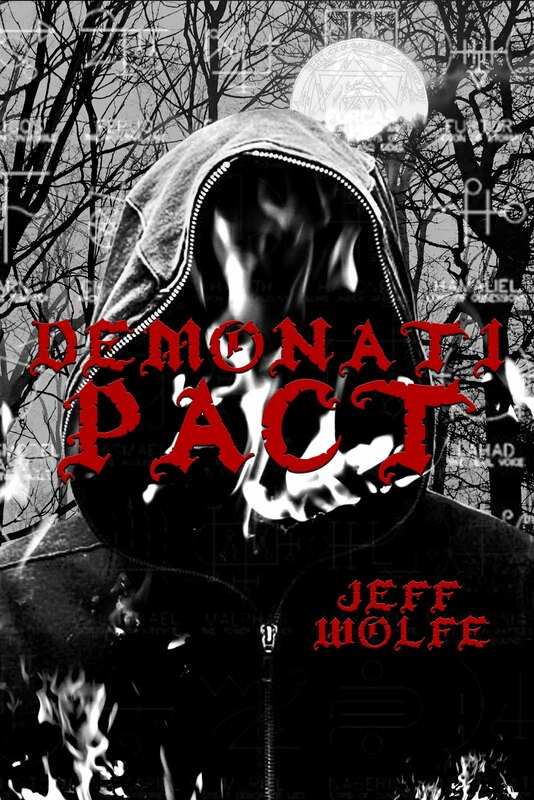 How much of John Keel’s research (if any) will be a part of the narrative for your version of the Mothman happenings? I’m making it my mission to tell as much of the whole story as possible in a feature length film. So Mr. Keel, Gray Barker, and Mary Hyre will all be represented. Keel especially, then Hyre. Barker probably to a lesser extent. I don’t agree with leaving Keel and Hyre out of any sort of narrative about these events as they were so tied to them and many aspects of the story wouldn’t even exist without them. Are there new pieces of Mothman evidence or witness testimony that will be introduced for the first time in this film? Yes. And even pieces that have been explored previously will be done so in a way that I don’t think people have seen before. We do have at least a handful of brand new eyewitness interviews, and one witness in particular who’s never been interviewed on film. My primary goal here is to retell the events of the Mothman sightings leading up to the collapse of the Silver Bridge in a very linear, understandable fashion so that people can see just how off-the-rails everything was leaning during that time. Is there an aspect of the Mothman timeline that has gone under appreciated or misunderstood? The thing that springs to mind most readily is just how varied descriptions of the creature were. The physical characteristics of Mothman could differ wildly from one witness to the next. 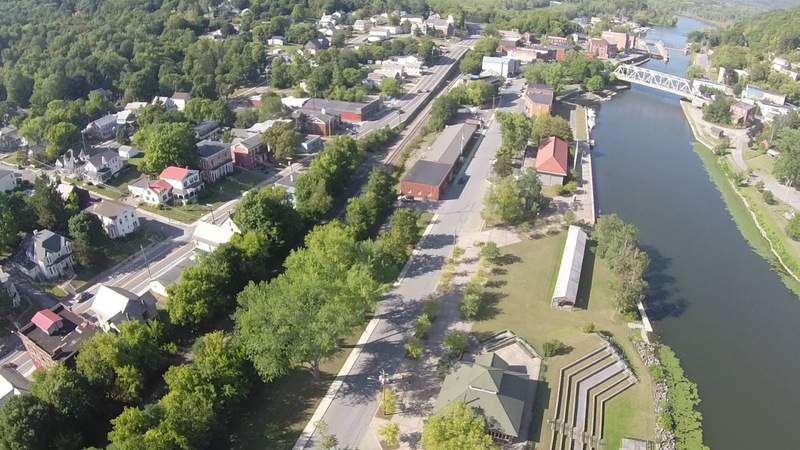 I also want people to understand just what kind of impact the Silver Bridge collapse had on the town and still has today. That’s something that is very important to all of us working on this. 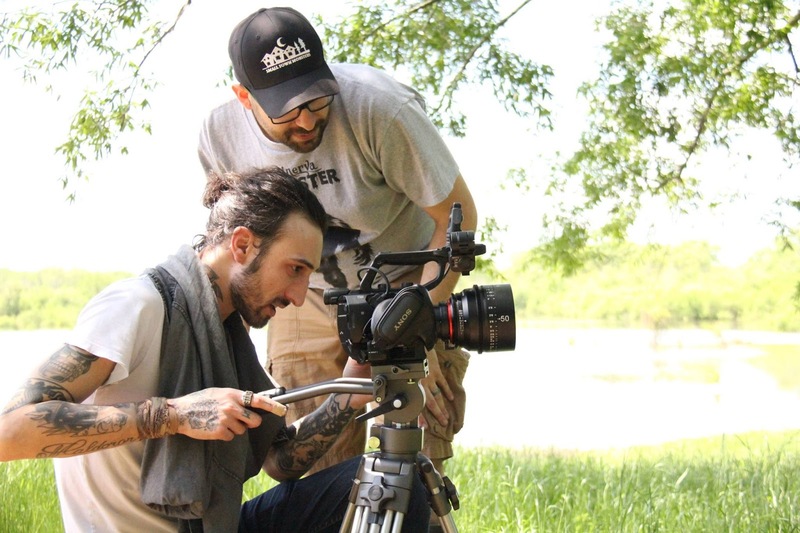 The other film you are developing is called The Invasion of Chestnut Ridge. Can you give me an overview of that story, it’s not one I’m familiar with? 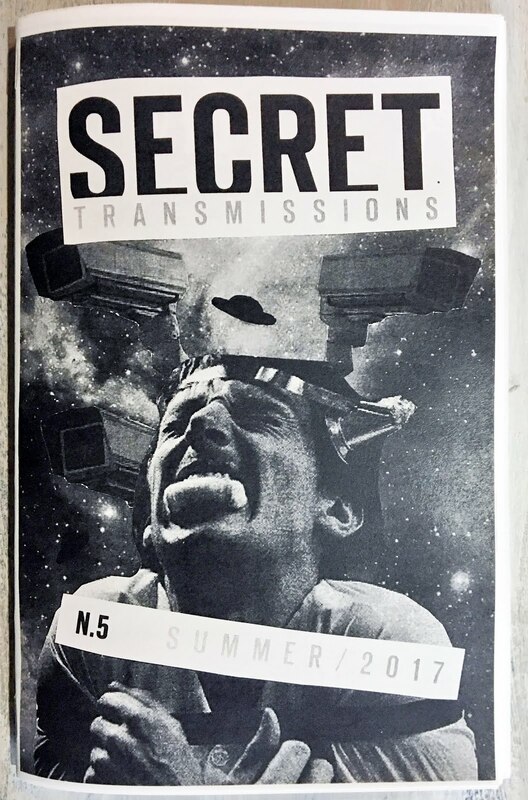 This will be a unique STM experience in that it isn’t focused solely on one town but rather an entire 100 mile expansive mountain range called the Chestnut Ridge in Pennsylvania. Our film will use the town of Kecksburg as our bookends, and we’ll delve into the famous UFO crash said to have happened there but we’ll also dig into the ongoing history of bizarre, otherworldly events in the area. 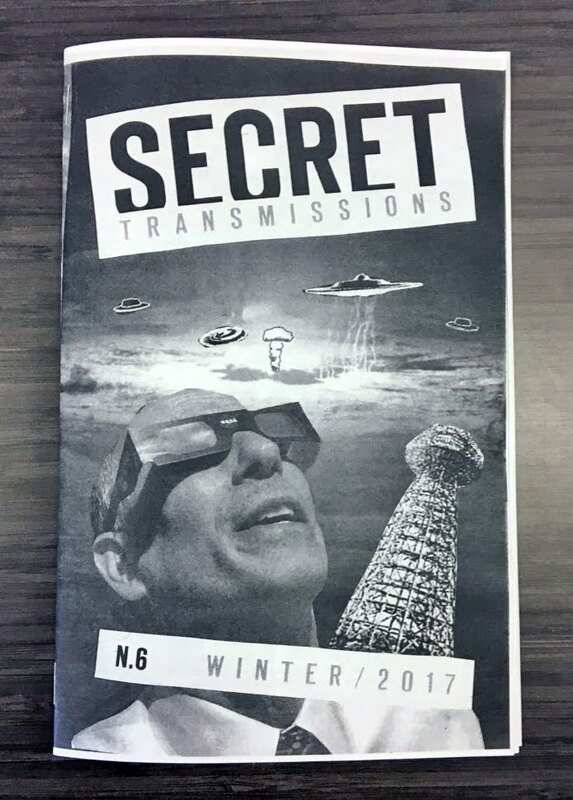 From UFO activity to thunderbird sightings and, yes, Bigfoots. Do you have any new tricks up your sleeve as far as production techniques that will be brand new for your team with the new films? Well, adding animation to the mix is certainly new for us. We’ll be adding some new equipment this year as we upgrade our drone, yet again and finally get a Gimbal purchased. Mostly, what we’re trying to do is continue to tell personal, dramatic stories in an honest way that never feels stale or boring. 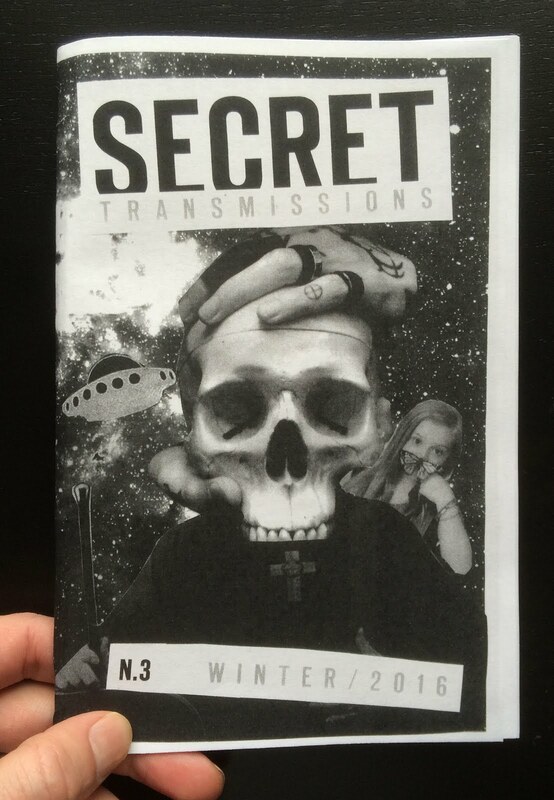 It’s this weird mixture of classic horror cinema and documentary that we’re attempting to create now. It’s something you’ll notice with Mothman. It’s also about finding the holes in what we’re doing from a storytelling perspective and attempting to fill them and learn from our mistakes. And by “our” I mean “my”. My crew has been top notch. I should say, we’ll continue to see Brandon’s film score work evolve. His Mothman music is by far the best thing he’s done and people are going to lose their minds when they hear just how different it is from anything else he’s done. Of all your locations that your movies have taken place in, what was the most interesting one or creepiest one to spend time in? I’m in love with Abair Road. I still picture myself there occasionally. Obviously, I love every locale we’ve been to but Abair and Whitehall in general have become almost like a second home to me. I hope to go back very soon. What can we expect from Small Town Monsters in the near future? We’ve got two movies coming out this year, and another planned for 2018, along with a book I’m co-writing with Mark Matzke. I think you can expect to see us continue to grow and improve and hopefully you’ll find our work more readily available in 2017. All you need to do is to log on to the putlocker movies website and search for the movie you want to see and voila! You will find it without any hard work at all. The classes are: practicality, survival esteem and diversion factor. Each of these is on an A - F Grading Scale with A being ideal and F being most exceedingly awful. The information you have posted is very useful.you rent lots of movies on movie25hd , this might be an option that you will love. In the net, there are a lot of totally free movie download find website so you may download totally free movies on your device storage and watch it offline whenever you desire. You can see the videos with a fundamental pair of 3D glasses. use this link for more about fullfreemovies. The exceptional quality to provide you with extreme entertainment and pleasures.Source for more about horrorthirst. Based on the tasks you will need to handle online on 123 movies, the speed is critical. They download movies, it might take a long period of time. xmovies8net.org has more information on the 123movie. You can go on the internet and get going on the web website onsolar movie. Our Online free full movies is An awesome and easy to use free movie website that always has all the newest movies ready to stream. For practically any movie on this website, all you really need to do is press the play button on the movie poster icon and the movie page will immediately open up. From there just click play and start watching! This is a great website for any popular movie fan! The ability to convey what's being said by only utilizing the limited space and time available. You can find more details on movie4k movies on the site www.movie4kmovies.org. If buying electronics, laptops, computers, games consoles, kitchen appliances, televisions, the list continues, it is truly important to acquire a notion of the grade of the item. You can find more details on 123movies online free on the website. While the majority of the streams work fine, you can encounter a few issues with American streams from time to time. If you are more curious about Watch full movies online for free - Solarmovie then you can learn more about it on solarmovienet.com. All of these have the exact same standard cause. If you are more curious about putlocker free movies then you can learn more about it on putlockerfreemovies.org. As a result, if you crave for additional entertainment, you might watch Bones season 6 full episodes online. You can find more details on xmovies8online on the web site. You will surely discover the streaming link for those movies you're looking for. More information on movie4kmovies this site. Being a real fan of Shutter Island, I have made a list of another similar fmovies.accountant. The website might be attempting to encourage visitors to go back to their 123movies website each time they desire to observe the video and, as a consequence, do not need the video to be downloaded. You can download things like old movies, musicals, documentaries, TV shows to name a few of the things you will find once you begin your search for a download free movie online. Love Android and love 123movie This article is for you! Here, we will reveal the best Android movie Apps that movie goers should have on their phone! Stay Tuned! The best thing about selecting a great movie is that there's so much choice and so many opinions these days. As each year passes more solarmovies.co are released and there's still many of the good old favorites around, and so comes the question of how to select a great movie to watch. Whether it's a blokes night or a chicks night, you can decide a theme.